I love the fact that the South Okanagan is not heavily populated. It’s peaceful, quiet and has that rural feel. A healthy environment is tied to the quality of life here. For someone like me, who loves the outdoors, it is easy to walk out the door and in 15 minutes be in wilderness. Since I and my family arrived here in 1981 I have seen huge changes in the valley. I gave up a career in a large City with a pretty decent pay cheque to come to the Okanagan because of the beauty and peacefulness here, but I do worry about over development and the problems that it will cause to the valley and the environment if left uncontrolled. I think that a good number of people who live here tend to forget what a paradise this valley is. 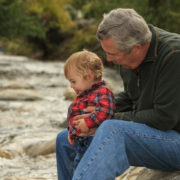 What will your own personal legacy for the Okanagan will be? What are you most proud of? It’s important to me that the the environment doesn’t deteriorate further and that we should try to improve it where needed. If I can help with that I would be thrilled. 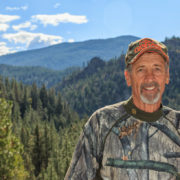 I grew up spending a great deal of my time in the outdoors. It is because of this that I want to see my children and now my grandchildren, have the enjoyment I had as a child be it camping, hiking, bike riding, and fishing to list a few, as being available to enjoy today and well into the future including my grandchildrens children. How nice would that be. I can see the value of this fund. I think it should be higher than what is proposed. It’s a good start, and doesn’t seem to be an issue to most of the people I talk to. It’s incredible to witness improvements for wildlife, for example the return of bighorn sheep to the southern valley. Non-profit organizations and volunteer conservation clubs are having a really good impact. There is good value for money with groups like that working on conservation projects. I have seen and experienced it myself.